We have our first pets! 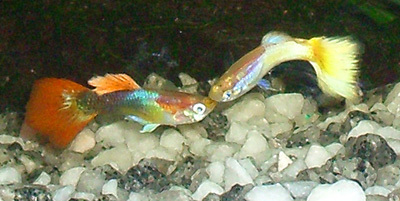 We have two male guppies which, despite being chaps, are called Rose and Emily. We agreed on the names very quickly, but are yet to agree on which one is which.